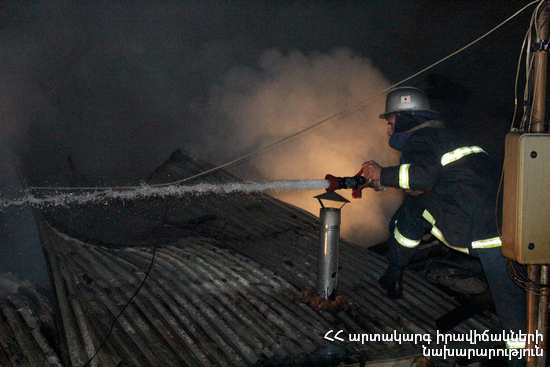 On February 10, at 21:21 an emergency call was received to “911” service that a fire had broken out in the sauna of “Karkachan” restaurant in Gyumri town, Shirak Province. The fire was isolated at 22:32 and extinguished at 23:14. The wooden constructions (about 12 m2) and the door of the basement sauna burnt in “Karkachan” restaurant on the 12th km of Gyumri-Beniamin highway.